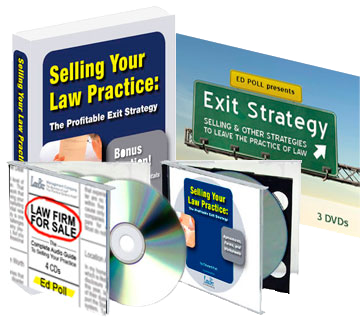 Listing your practice is as easy as 1-2-3. Your Law Practice Wanted will be listed on the LawBiz® Registry web site, a site reviewed by many lawyers who are seeking to jumpstart and expand their current law practices. This may be the closest service to a multiple listing currently available. Be sure to provide an enticing description of the practice; remember, you want people to get excited about your practice and call you directly for more information. The listing will contain the contact information you choose to provide and all further information and contact shall be with you. Feel free to contact Ed Poll for more information or assistance in preparing the verbiage for your ad. 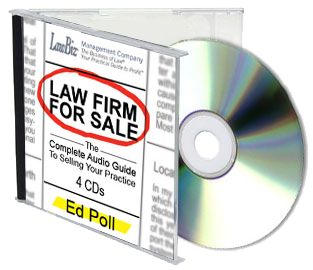 It takes time to match the right law practice buyers and sellers. That's why web site listings should be for a minimum of six months. Listing will automatically renew on a monthly basis until cancelled.